Pioneers in the industry, we offer shearing machine, fabric shearing machine, dhaga cutting shearing machine and fabric warp butta cutting machine from India. Shearing Machine-Our competency lays in manufacturing and supplying our clients an excellent quality range of Fabric Shearing Machine. The offered machine is widely demanded in textile industries for designing fabric in different patterns and colour combination. Our offered machine is manufactured with the help of abrasion resistance material and cutting-edge technology under the visionary guidance of skilled professionals. We offer this machine in different technical specifications for our clients with different choices .So that the actual price of machine can be vary at the time of placing the order due to present market condition and customer's requirement. We attachment world famous Company of Germany in expert provide in this machine for according to useful for speed cut the fabric and finishing all things about al fabrics.Most important we are provide best quality for equipment and electrical motor and automatic all process. Fabric Shearing Machine-Our competency lays in manufacturing and supplying our clients an excellent quality range of Fabric Shearing Machine. The offered machine is widely demanded in textile industries for designing fabric in different patterns and color combination. Our offered machine is manufactured with the help of abrasion resistance material and cutting-edge technology under the visionary guidance of skilled professionals. We offer this machine in different technical specifications for our clients with different choices.So that the actual price of machine can be vary at the time of placing the order due to present market condition and customer's requirement. 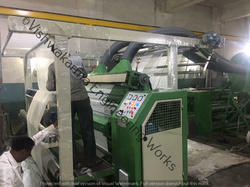 Use For Fabric Embeoredry Machine war Butta Center cutting machine & Fabric Warp Butta Cutting Machine. Our organization is highly known in the market for offering a wide range of quality-tested Textile Shearing Machine or Textile Butta Cutting Machine. The offered range of shearing machines is manufactured by our expert professionals in compliance with the international quality standards. 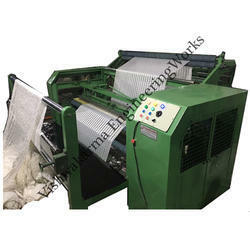 These textile machines are ideal for shearing short wrap knitted, woolen and worsted fabrics. Below mentioned are the remarkable features of these machines. 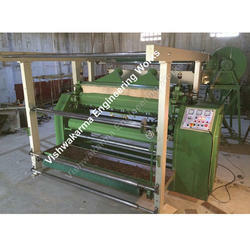 Looking for Fabric Shearing Machines & Saree Finishing Machine ?